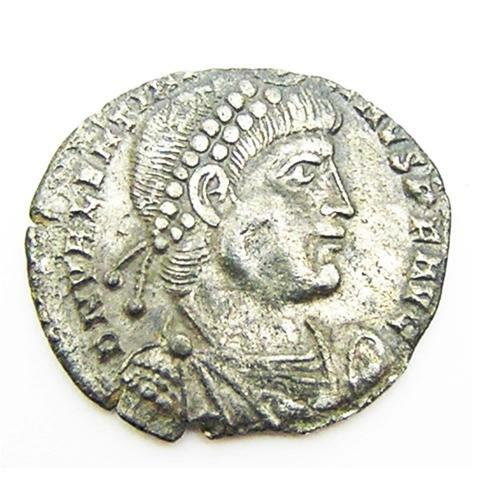 This is a superb ancient Roman silver Siliqua of emperor Valentinian, dating to 364 - 367 A.D. This coin is about EF condition, with a superb portrait and bold lustrous reverse. This coin was minted at Lyon in France, mint mark SLVG. It is an excellent quality ancient Roman silver coin, a choice specimen for a serious collector. PROVENANCE: Found in Gloucestershire, England.